And the recent 12 Month period (Jan-Dec) 1895-2009. 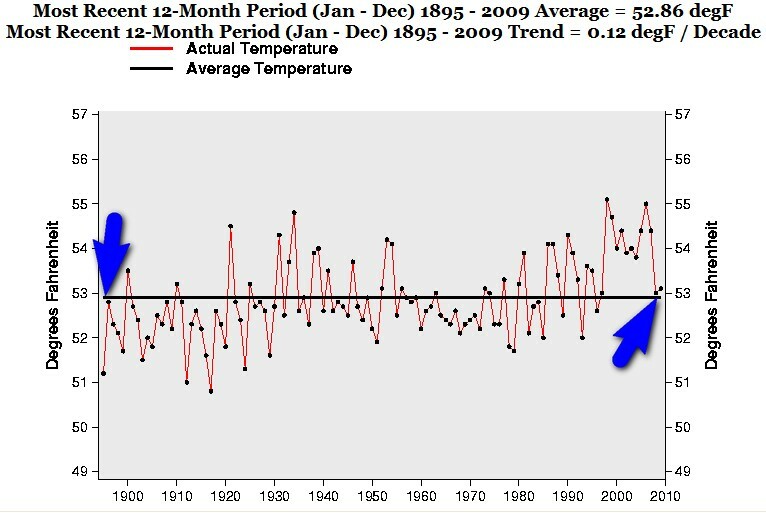 Last year, 2009 (Jan-Dec), the temperature is NEARLY EXACTLY THE SAME AS IN 1896! 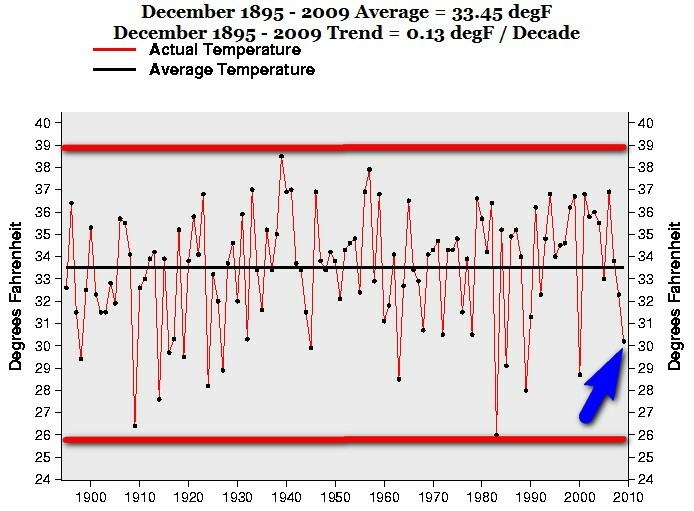 The difference is ah HUGE 0.33 F. One third of a degree in 113 years. This entry was posted on 8 januari, 2010 at 10:47 e m and is filed under Fri- och rättigheter, Miljö - Environment, USA, Yttrandefrihet. You can follow any responses to this entry through the RSS 2.0 feed. You can leave a response, or trackback from your own site.